Batter up! 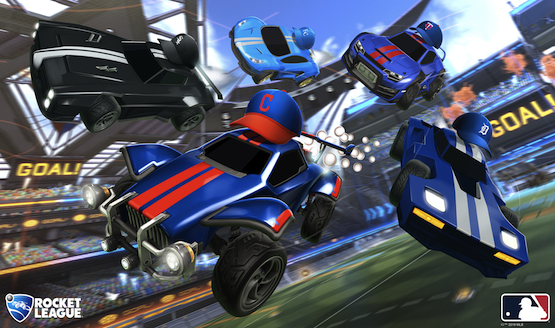 Rocket League will allow players to rep their favorite MLB team with add-ons coming with a new update. On March 25, 2019 players can show their team pride with banners, flags, and baseball cap toppers from all of the 30 MLB teams. You can pick up a pack of these cosmetic items for $2.99 USD. There will also be a rocket boost themed after this pastime. Here’s a trailer, offering a look at the cosmetics. Rocket League has surged its way to more than 56 million players since its launch as a free PlayStation Plus title on July 7, 2015. Brand partnerships, like the MLB, have been made possible with the game’s popularity, alongside tie-ins with things like Batman v Superman: Dawn of Justice, Back to the Future, and a real car brand, the McLaren 570S. The most valuable thing in our game is our fans. A lot of the stuff we do is focused on keeping them with us, keeping them interested and all hyped up about our game. We want to provide a really good experience [for players] to have fun with for years to come. Frequent events like the MLB Fan Pack will likely keep fans interested, despite the sport’s lack of appeal in Europe and other areas of the world. In addition, cross-play is a feature many have requested and recently received in January when Sony changed its plans for multiplayer across all platforms. As of February, you can now form parties across systems. Will you be representing your team in Rocket League? What other tie-ins would you like to see in the game?